Please accept my apologies for not being in touch sooner following our tour at the end of April / beginning of May. I just wanted to thank you both for your advice, patience and support during the planning stages and during the trip itself. 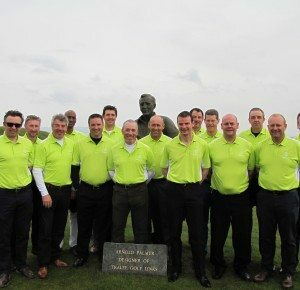 We had a fantastic time and all my hopes were fulfilled in terms of playing some fabulous courses with first class transport and an itinerary which allowed time to soak up the atmosphere in the clubhouse after a round and get back to Killarney at a sensible time.